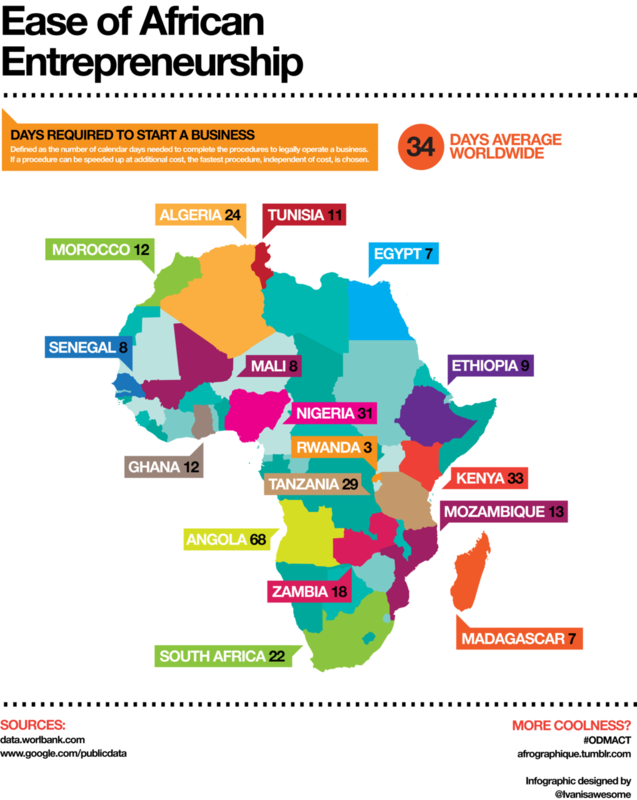 A basic infographic which takes a look at how many days it takes to legally start a business in different African countries. The infographic was designed by Ivan from Afrographique. Click on the image to view the full-size image.